The ALSC Edmonton Service Center has been assisting with the international certification of both personal and commercial documents for many years. Our expert team of professionals have apostilled, authenticated and legalized various documents that have been issued in Alberta such as an Alberta Birth Certificate, Alberta Marriage Certificate, Alberta University Degree, International Power of Attorney, Certificate of Origin, Commercial Invoice, or Alberta Corporate documents to name a few. It’s easy to get started with the validation of your document for international use with ALSC find out how below. Once you have confirmed your service options we can then set up an appointment for you to drop off your documents and ALSC order forms at the Authentication Legalization Services Canada – Edmonton Service Center at Suite 2020 – 10060 Jasper Ave, Tower 1, Edmonton AB T5J 3R8. They will be waiting for you at the Edmonton Service Center to ship the documents overnight to our national headquarters in Ottawa, where the documents will be processed. Now we do our part keeping you updated at every step via email. Upon completion of the process we let you know when you can pick up your completed documents at our Edmonton Service Center, it’s that simple. Best of all it’s guaranteed! 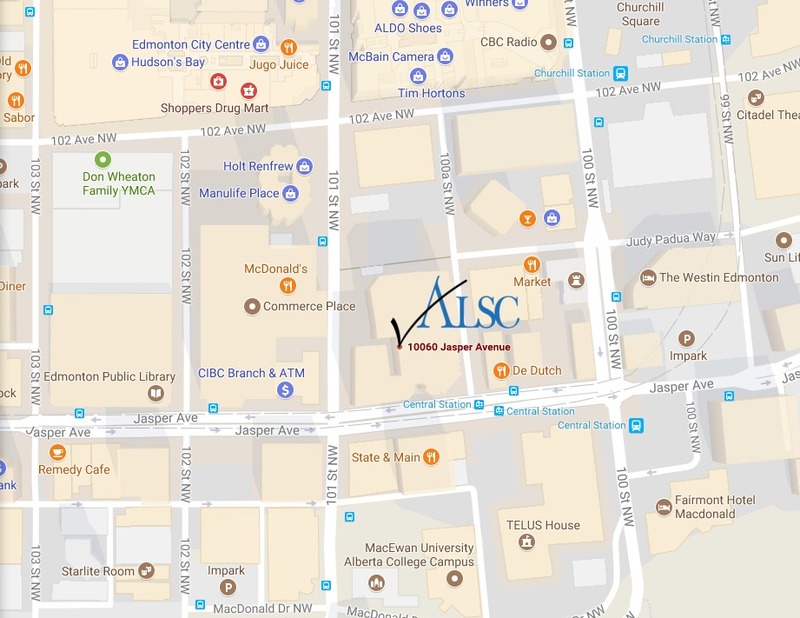 The ALSC Edmonton service center is located at Suite 2020 – 10060 Jasper Ave Tower 1, which you can see in the map below is in downtown Edmonton. Conveniently located near bus lines and parking it makes international document certification easy for those living in the City of Edmonton. For those living outside the city the ALSC Edmonton Service Center is approximately 20-30 minutes from Fort Saskatchewan, Leduc, St. Albert, Sherwood Park, Spruce Grove. 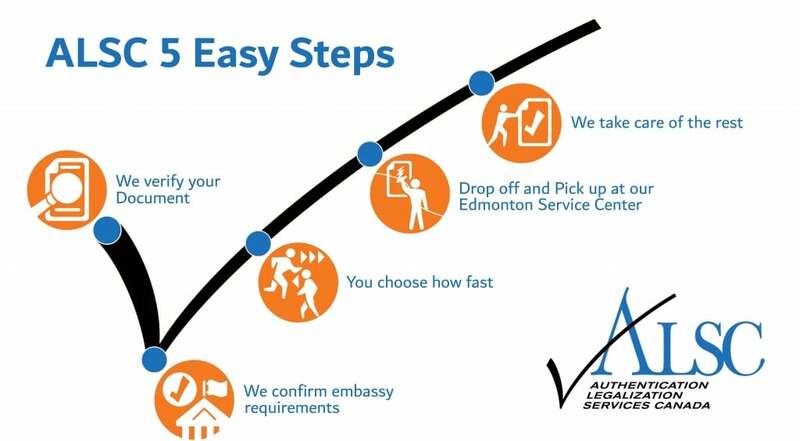 Click below to get started with the Edmonton Apostille, Authentication and Legalization service experts.